The 5 home holds the simplicity of white and build upon it with neutral and other homochromous hues. Even industrial features like exposed brick and solid materials are tinted white to organize with the rest of the area. Inspiring lighting accents, spacious bathrooms, and charming living rooms all keep these areas from being pure and simple. 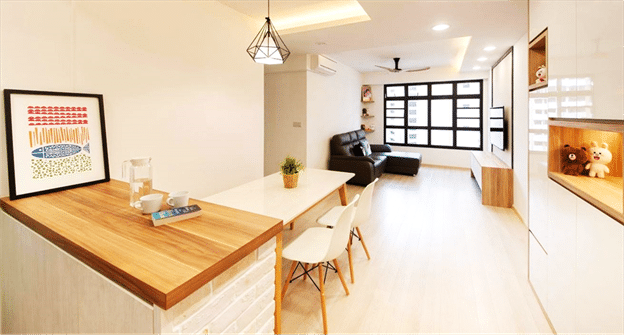 Here at Renopedia, take a look at 5 white themed homes with the minimal features designed by our expert Interior Designers. 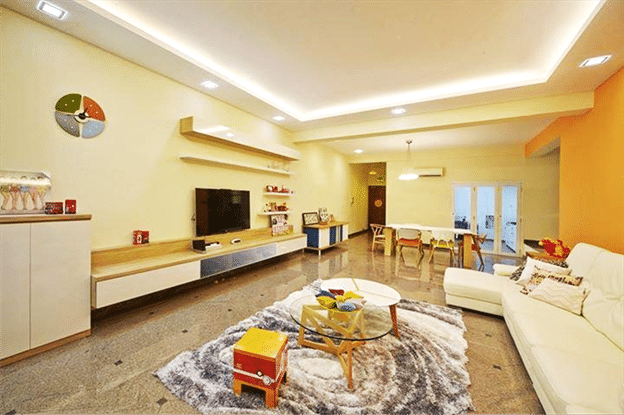 This sparkling white themed home looks perfect with modern lighting and shiny white tile flooring. The charming dining table with eye-striking white gives this room a stunning statement designed by Icon Interior. 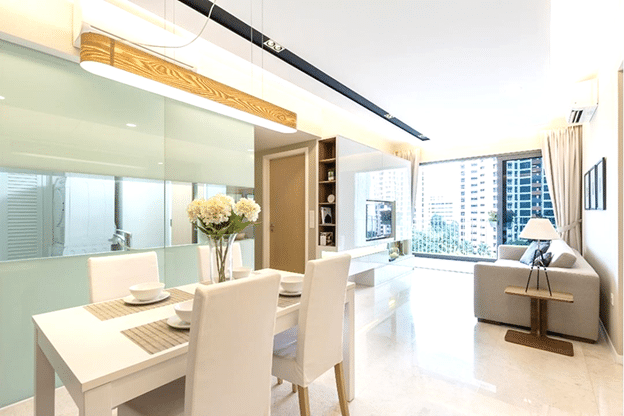 Consider these stunningly white themed apartment for your home, the wood accents adds a unique charm to this minimally decorated home designed by Aart Boxx Interior with luminous lighting. 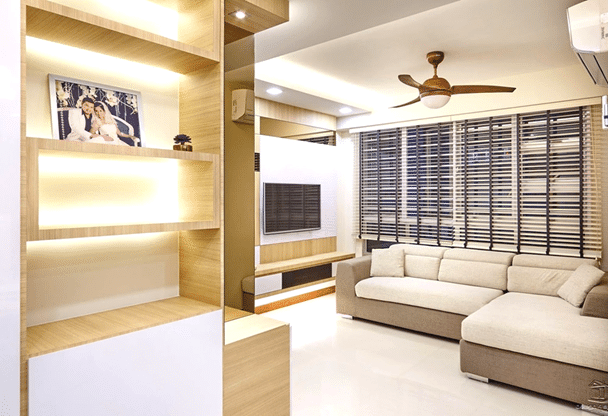 The white themed home with lovely wooden features makes this living room appealing. The white and gray accent big L-Shaped sofa give this home outstanding elements designed by Dezeen. The wood shelves with beautiful family frame add unique feature to this area. Consider this apartment for your home. Consider this home with white accents and wooden features, the beautiful wood textured wall adds an exceptional features to this area. 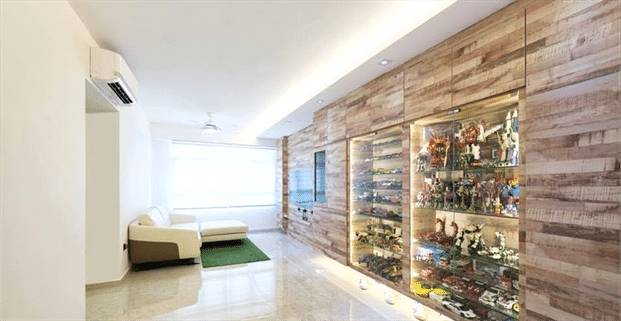 The appealing glass racks make this home stunning designed by Absolook. Consider this white themed home with colorful features for your home, the lovely bright elements makes this minimally designed home stunning. The large white L-Shaped sofa with charming gray rug and stunning TV-unit bring beautiful elements to this area.